Top quality Atlantic salmon fillets, produced with pride by our team in Grimsby. All ready to prepare a meal in minutes, straight from the freezer. 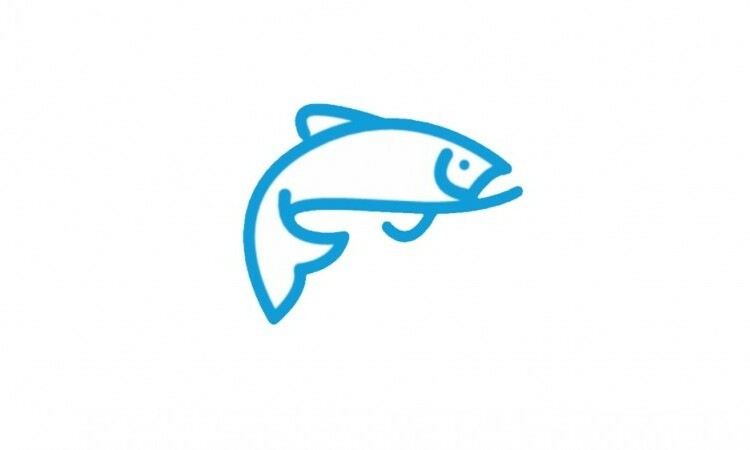 Salmon is good for you - full of protein and rich in Omega 3. Enjoy a healthy meal any day of the week. Our clever packaging means you can cook straight from frozen - poach in the pack, bake, grill or microwave in just 4 minutes! 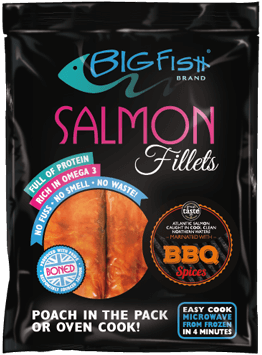 No fuss, no smell, no mess, just delicious salmon every time. These fillets can be cooked from frozen or defrosted. To defrost, leave at room temperature for 4-5 hours or overnight in a refrigerator. The fillets are best cooked from frozen but can be defrosted if preferred. BBQ Glaze 5%: (Sugar, Maltodextrin, Acids (Sodium Diacetate, Citric Acid), Starch, Dried Tomato (4%), Smoked Salt, Spices (Cayenne, Smoked Paprika, Black Pepper), Salt, Barley Malt Extract, Yeast Extract (Yeast Extract, Salt), Natural Flavouring (Contains Wheat, Barley, Soya), Dried Garlic, Smoked Water, Thickener (Guar Gum), Smoke Flavouring, Natural Colours (Paprika Extract, Carmine). May contain traces of: Celery, Milk, Egg, Mustard, Sulphur Dioxide.